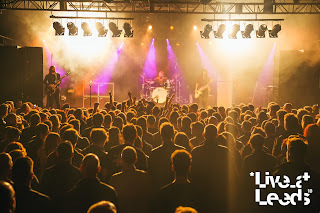 Thanks to Trinity Leeds/their Twitter, I won a goodie bag and two tickets to Live At Leeds so I thought that I would give you a guys a shortish post about Live At Leeds and what I thought. I'm going to Slam Dunk in a couple of weeks and I'm not fully sure whether to do a blog post about it or not so comment down below whether I should or not. 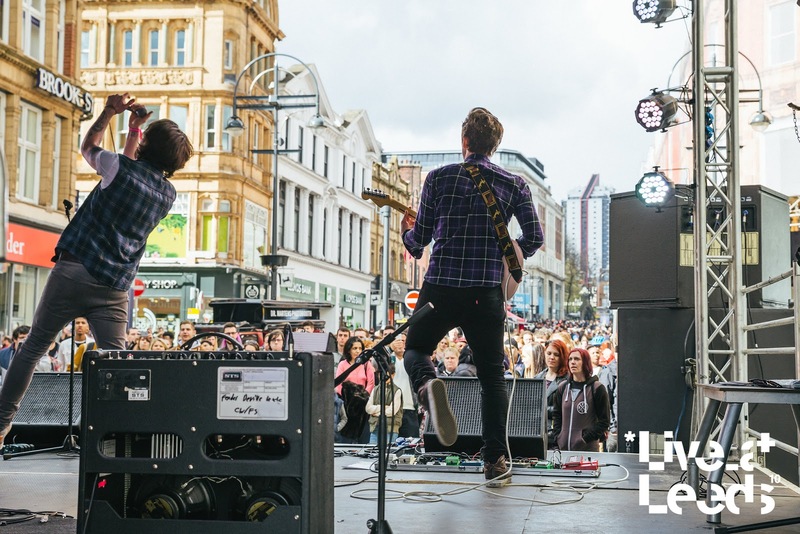 Live At Leeds is an award winning festival which is held annually on the May Day Bank Holiday weekend. The festival is based within Leeds hence the name 'Live At Leeds' but this definitely does not mean that it is based within one location such as the well known Leeds Festival that happens annually within the same city. This Bank Holiday festival is held within a variety of well acknowledged venues within Leeds City Centre. The aim of LAL is to showcase new emerging artists alongside some more well known artists from around the world. 2016 marks the ten year anniversary of the festival so LAL pulled out all of the stops for this year! As I won two tickets, I decided to drag Michelle along as she loves music but also as she is attending Slam Dunk with myself so I thought that it would be best for us to both try and do a Leeds based festival so we were prepared for the other one that is approaching us very soon. We chatted and so forth and then made our way to Leeds Direct Arena. We were slightly late but I can imagine that the area surrounding this venue was buzzing with atmosphere in the hour or so before people could exchange their tickets for wristbands and that there was a lot of the general public getting to know new people via their music taste. We exchanged our tickets for wristbands and then made our way to our first venue. We went to a few different venues and saw a plethora of bands which were playing different genres of music but as I can't really remember the names I think that its best to just sum up what I thought of the day. I loved the whole concept of walking around Leeds City Centre and finding little venues with some amazing live music playing within it. 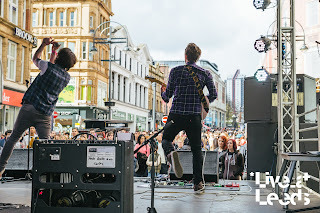 I loved the free outside venue that was within Briggate as it gave shoppers a little experience of what to expect at Live At Leeds and it gave some unnoticed bands some well needed love! I did hate the fact that one of the main headliners had to cancel an hour before they were meant to appear and the fact that the weather couldn't make its mind up which sometimes happens but all in all I had an a pretty great day with Michelle. 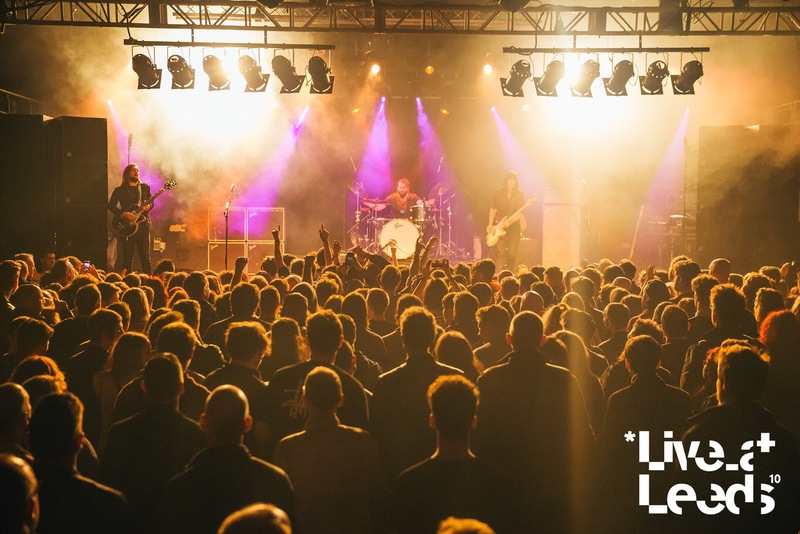 Have you been to Live At Leeds before? Should I blog Slam Dunk? Let me know in the comments section below! Thanks to Trinity Leeds for the prize. If it wasn't for them then this post wouldn't be here. Thanks to Michelle for coming along with me. 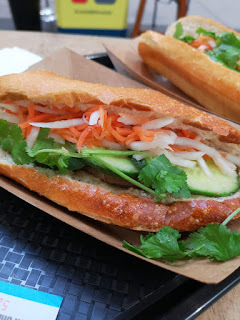 I hope that you've enjoyed this post/slight ramble and I hope that you come back next time for another blog post! This photographs are not mine and I have been given the access to use these photos via the press that organised Live At Leeds. All credits go to Giles Smith and John Hayhurst (sadly I couldn't find his link so you may have to Google him) who created these photos. All rights for the photos are theirs.